This page gives details of the 2013 event - details of our next session will appear here nearer the time. Please contact us if you would like your school to take part in this. 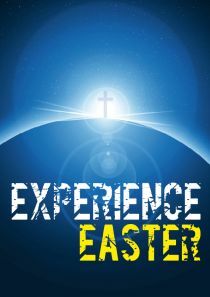 During Lent we will be running Experience Easter again as a Team Project, and all of the eight Wythenshawe Primary Schools have been invitee to come take part! Years five and six children, probably numbering over 250 in total, will come to William Temple Church during the week after Mothering Sunday (11th -15th March) and be led through the most tumultuous and adventure-filled week of Jesus’ earthly life, from the events of Palm Sunday, through him washing the disciples’ feet, and breaking bread together at the Last Supper, being alone in the Garden of Gethsemane on Maundy Thursday, and leading up to the Cross on Good Friday and the amazing story of the Resurrection on Easter Day! I am sure all those who were involved as helpers last time - two years ago now – will be able to enthuse others about the wonderful time they had sharing this experience with the children and also how much they learnt as well! If you want to help please contact me! On the Saturday morning there will be an open session for anyone to come along. No need to book – come and see! You will be made most welcome! Minimum of 10 per session; 2 adults will be based on each ‘area’ at any one time, at least one of whom will be CRB checked, in addition to the teaching staff. There are five ‘areas’ around the church building. The children are directed where to start, and move round every 10 minutes until they have all completed all five. Then all come back together in the Chapel for Area 6 – Resurrection. Fruit squash and a biscuit will be provided at the end, before returning to school. During Lent (in the second half of the spring term) we decided to put on Experience Easter as a Team Project, and invited five of the Wythenshawe Primary Schools to come and take part. Years five and six children, numbering over 250 in total, came to William Temple Church over a two week period, and were led through the most tumultuous and adventure-filled week of Jesus’ earthly life, from the events of Palm Sunday, through washing the disciples’ feet, the Last Supper, being alone in the Garden of Gethsemane, and leading up to Good Friday and the Resurrection. There were over twenty-five helpers involved over the fortnight from all the team churches; some who had never worked with children or done anything ‘up front’ in church before! All ‘mucked in’ and helped putting together the six displays in advance, and most got involved on the days, helping lead the different stations. It was really breathtaking to see so many people coming out of themselves and offering so much of themselves to the children. Some of the children were visibly moved by the whole experience. One school reported that some Year 5 boys who had been causing problems at school began to talk to the teachers about how they were feeling when they got back to school. This was a direct result of them opening up in their groups at Experience Easter! 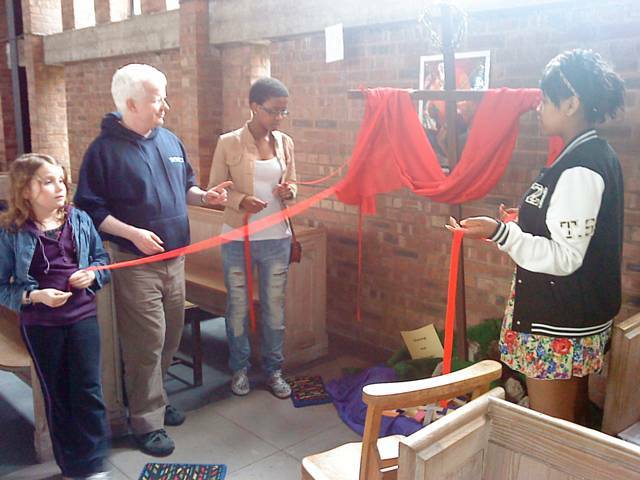 We all feel Experience Easter has been extremely worthwhile, and one Team Vicar even said it was ‘by far the best piece of team ministry she had been involved with to date’! We aim to build on the positive relationships made with all the schools through this mission initiative in the very near future, and maybe even try something similar, like Experience Harvest or Pentecost! For all of us, this has re-energised our experience of Lent, Holy Week and Easter; and, more to the point, it has renewed our zeal for the Gospel: and, for many, it has also deepened their personal walk with the Lord.